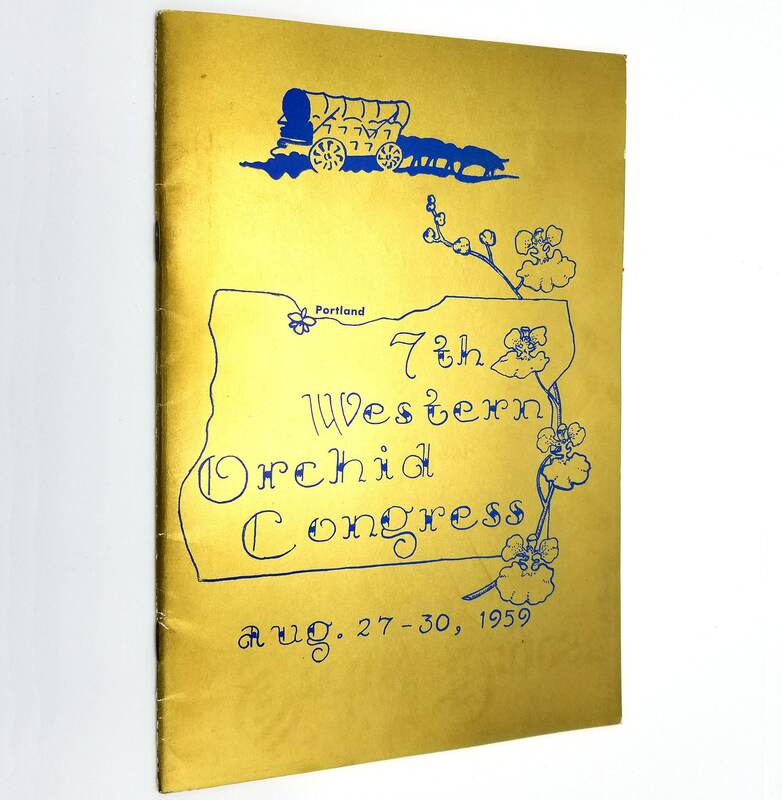 Title: Seventh (7th) Western Orchid Congress August 27-30, 1959 "A Century of Orchids"
Description: Staple bound program has small stress creases along the spine. Light edge wear and rubbing to wraps. 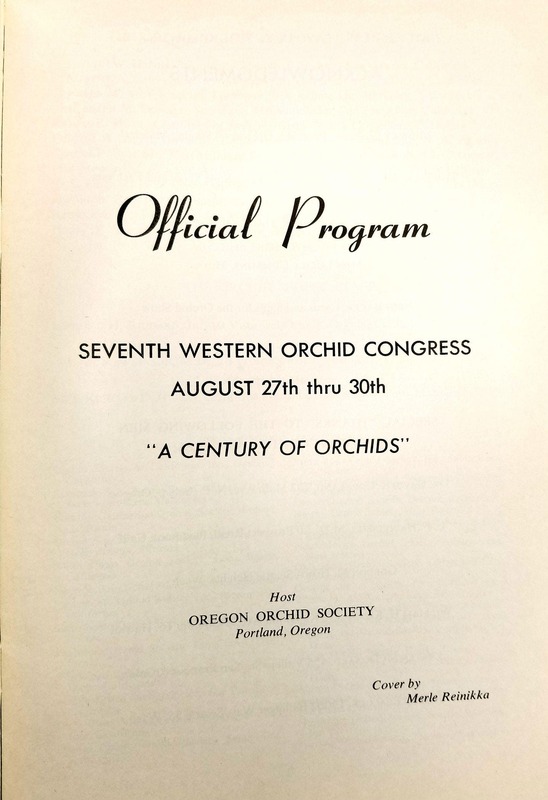 Pages are free of marks, binding is sound.